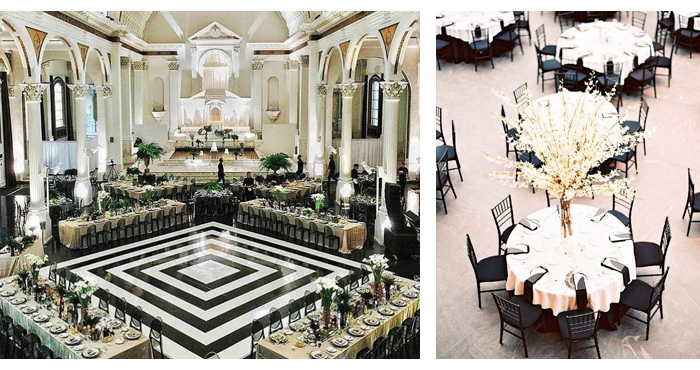 Your wedding reception will be a party like no other. This once-in-a-lifetime event means that even the most legendary party-thrower needs to up their game. But what if you don’t know what you want yet? 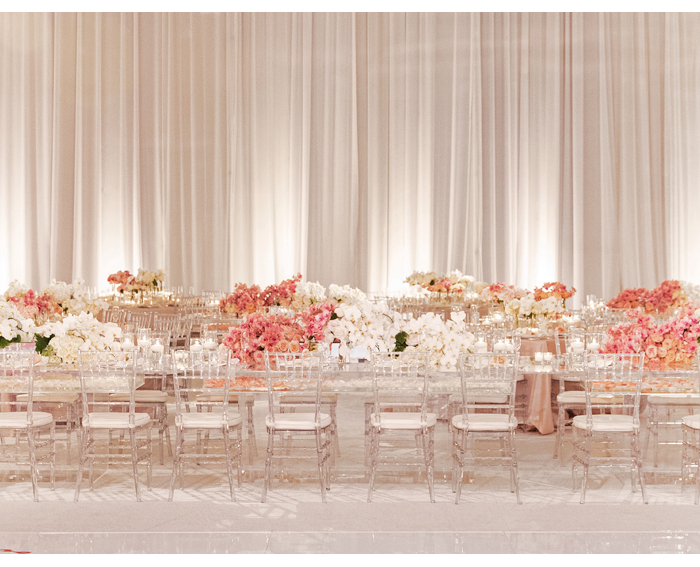 That’s precisely why we're bringing you this feature on the most luxe décor and event styling ideas around. Read on, and be inspired. 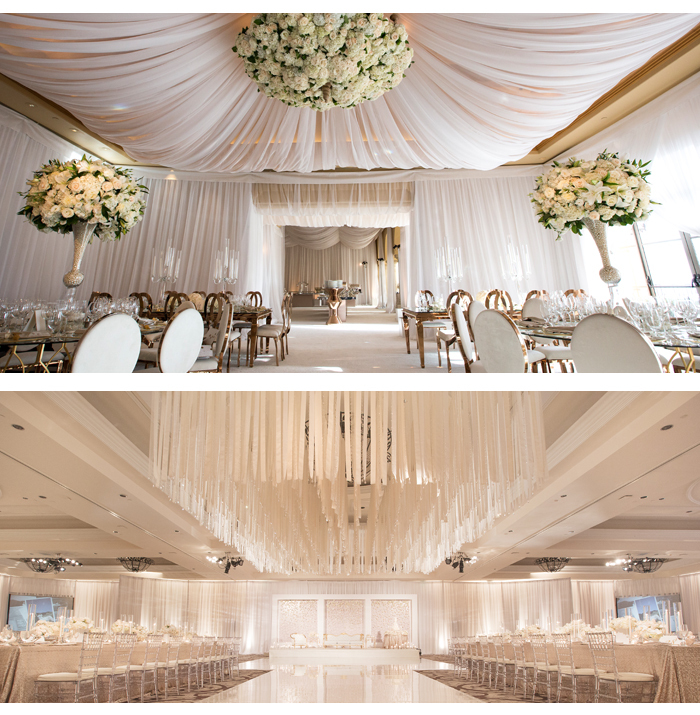 You can’t go wrong with white décor. Even if you’re having a traditional Asian wedding, just think how much more your red lehenga will stand out against the pale setting. Take things to the next level - literally! 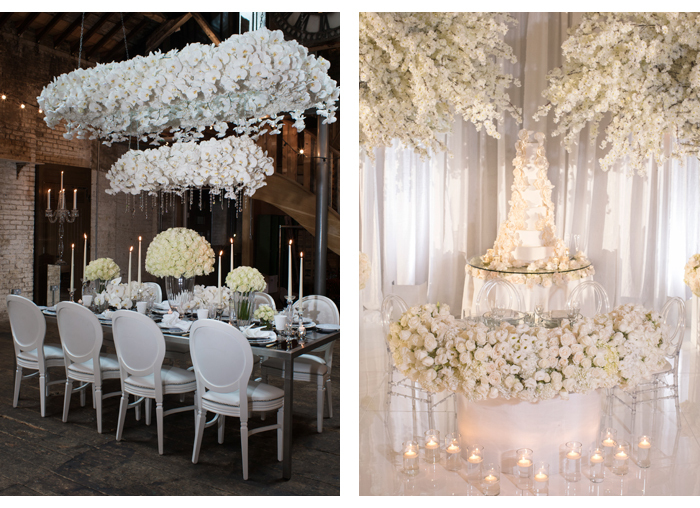 We love the look of suspended floral arrangements, perfect for the top table. Keep the look oh-so elegant with one-flower styles; just pick your fave bloom - and multiply! Give white warmth across your tablescape with scattered tea lights and scented votives. 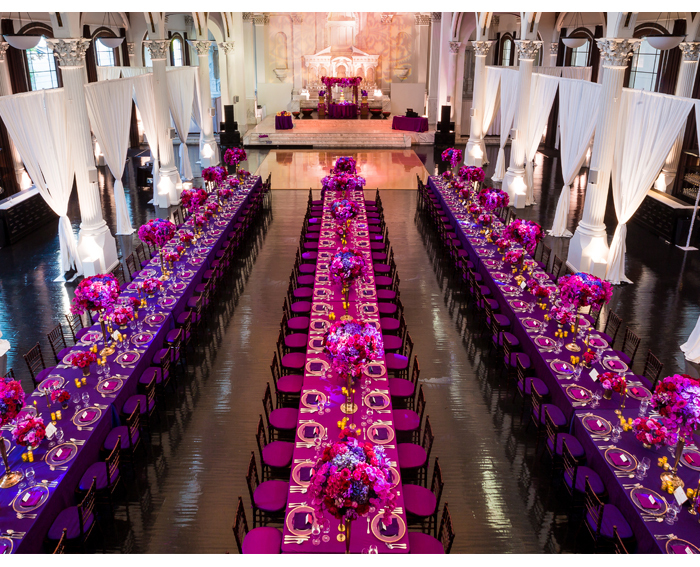 The trick with one-hue weddings is to include complementary shades from the same family. For white; add cream, eggshell and a hint of gold for a dreamily luxe look. Lighting can make all the difference to your space, switching the mood from bright to cosy and intimate. Get your décor company to match your lighting to your bright accents. It’ll help infuse the areas you can’t decorate with coordinated colour. Want a secret garden theme but worried about the unpredictable weather raining on your parade? 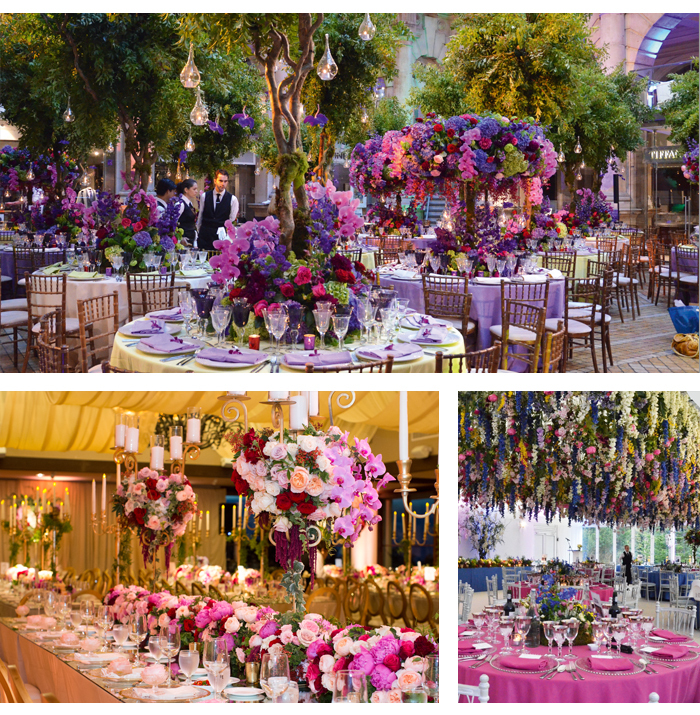 Solution: OTT floral centrepieces, vibrant tableware and lantern-strewn trees. Indoors, obvs. 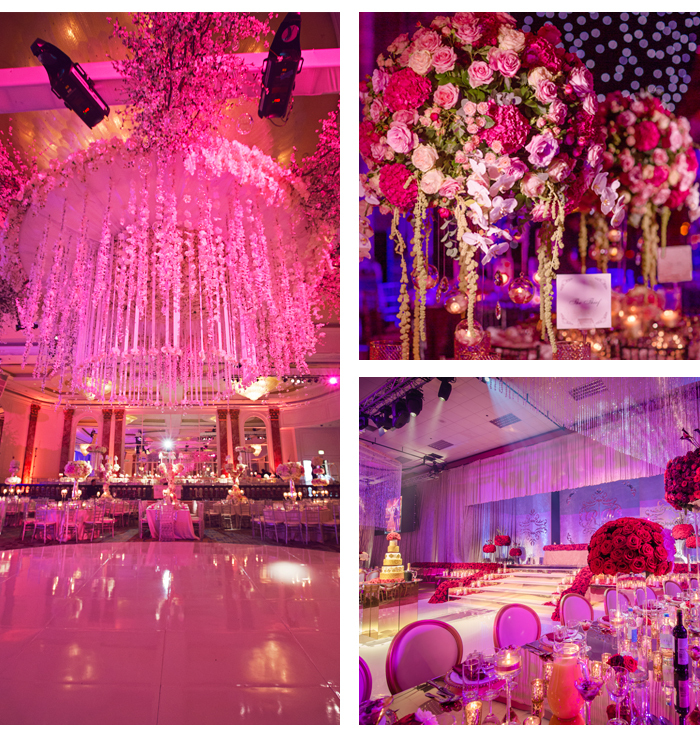 Put a 360 stamp on your venue by matching the hues in your floral arrangements to the tablecloths and centrepieces. Super Instagrammable and perfectly suited for a vintage wedding, this delicate colour palette of blush, pink and cream is nothing short of magical. Sometimes elegance comes from the simplest ideas. 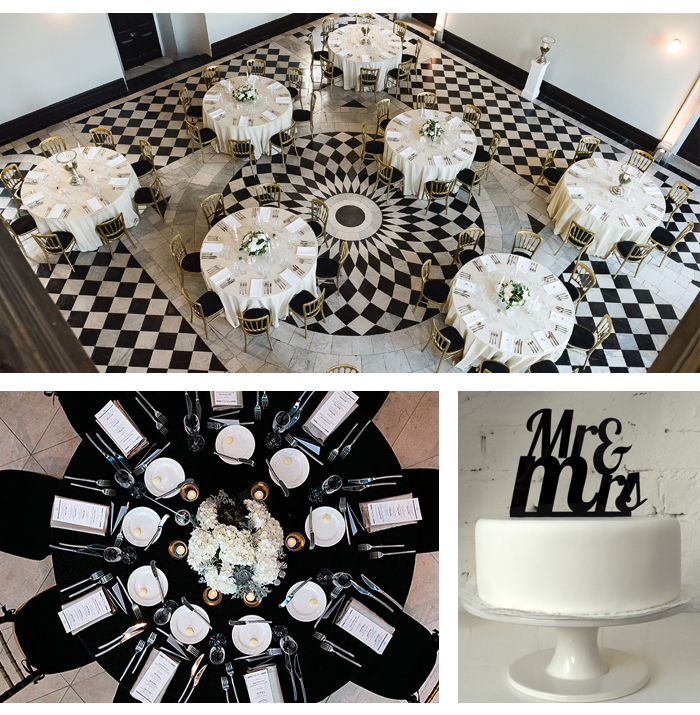 A black and white theme is perfect for couples envisioning a contemporary wedding. The crisp white against dark tables or design-led tableware gives an elegant feel and will take your wedding snaps to a whole other level. 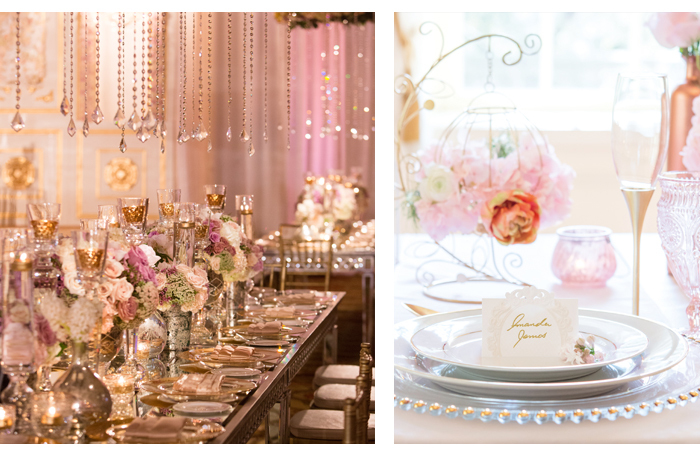 This glam look is ideal for Asian weddings with the metallic hue touching everything from the plates to the flowers to the chandeliers. In décor, details make all the difference. 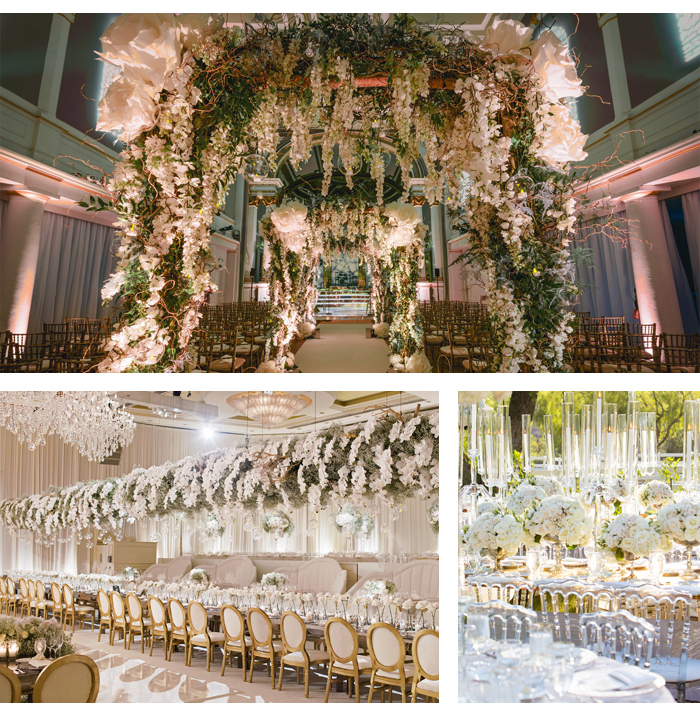 It’s about dressing up the nines - you and your venue. Give your tables an elegant twist with charger plates that sit under dining plates. 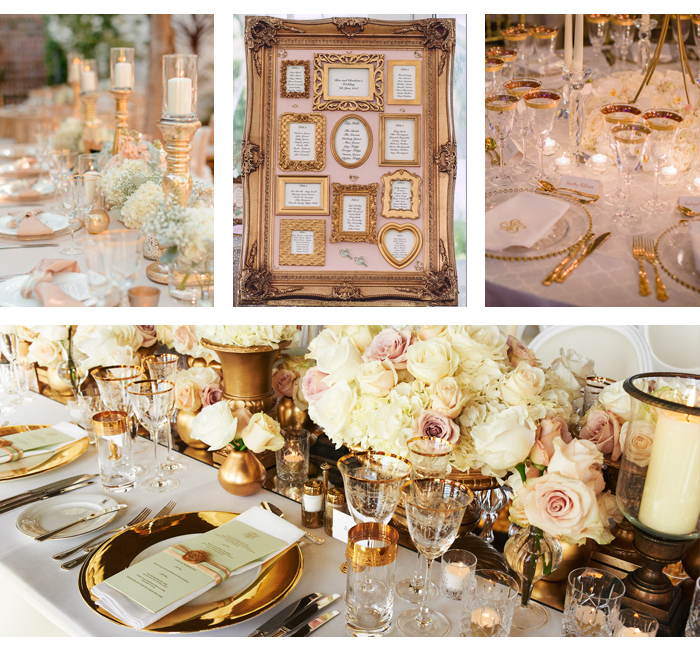 Picturing a royal theme for your Big Day? 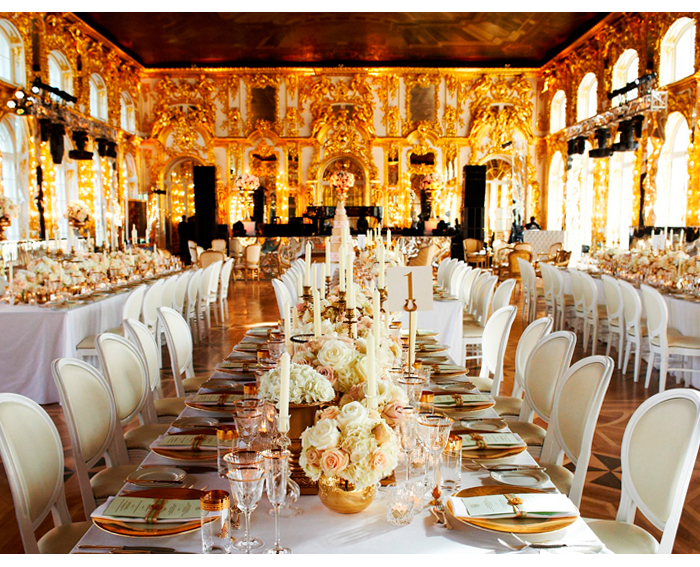 Get the luxe look with polished gold as your accent colour; use on cutlery, plates - even flowers! Team with white and cream for a regal finish.